- Ultra fast ink mixing machine. - Easy to load and unload with steering system. 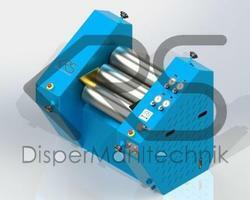 - High H.P motor for mixing all types of inks. - Adopted with two stainless steel blades for through mixing and rust free operation. Capacity: 200 Ltrs. - 4000 Ltrs. To accomplish the numerous requirements of the clients, we are engaged in providing a high quality range of Ink Mixing Machine. 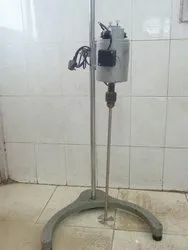 We are offering a qualitative range of Ink Mixing Tanks with Stirrer System. These are offered in different specifications and mixing methods of tanks according to client’s requirement. We manufacture these Ink mixing tanks using the finest grade raw materials that we procure from the most reliable sources in the market.